Do you feel like your home could use a little more love? Switching up your interiors can do more than just make your home look beautiful and welcoming; it’s also the quickest way to uplift your mood. But if there’s one thing that often stands between you and your dream home makeover, it’s your budget. However, you don’t have to dip into your savings to breathe fresh life into your home. There are many easy home decor and renovation ideas which cost very little and take even less time to make. Here are a few easy DIY home decor ideas you can do with your family over a fun weekend. Simply adding indoor plants to your home can immediately brighten up your space and is one of the easiest ways to make your home eco-friendly. But if you want to go the extra mile, you can easily decorate the terracotta pots holding your plant to add some extra beauty to your home. There are many ways to spruce up your terracotta pots, but the easiest way to do this is with spray paint. 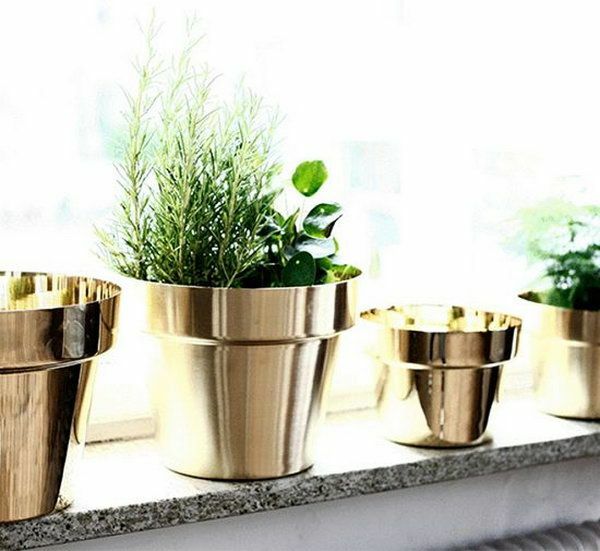 To make beautiful metallic flower pots that look more expensive than they actually are, first wipe your terracotta pots to remove any dirt. Then, spray them with a coat of primer. This will help your colour look more vivid and last longer. After the primer dries, you can spray paint your pots with any colour you like! Metallic tones work especially well to add elegance to your home decor. 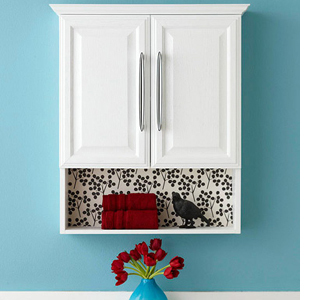 Floating shelves don’t just look beautiful, they add valuable extra storage in your home. When you live in an apartment, wall-mounted storage can be very useful because it doesn’t take up any extra floor space. 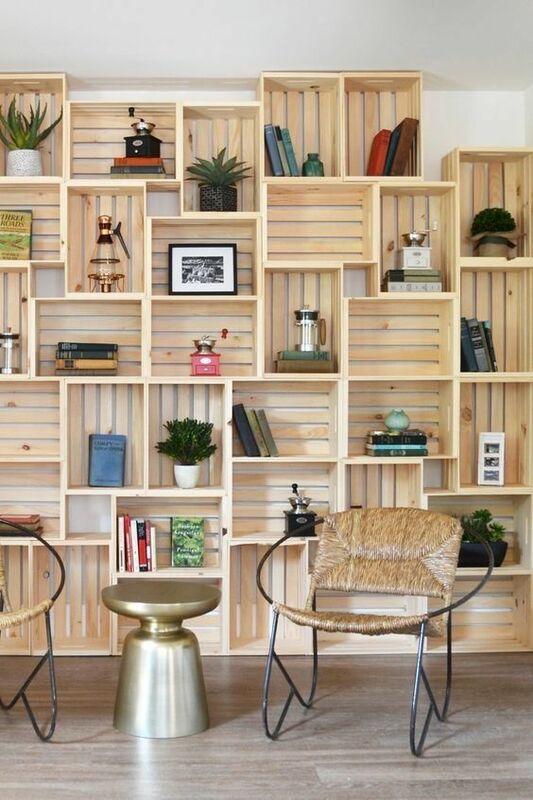 Floating shelves can be very expensive, but you don’t need them when you have a few wooden crates. To make your own shelves, take your old crates and give them a coat of varnish to make them look like they’re new. Then, nail the base of the crates to your wall, in whichever direction you like. You can even hang a few of them near each other to make an interesting wall feature, or mount them over each other to make a bookcase. 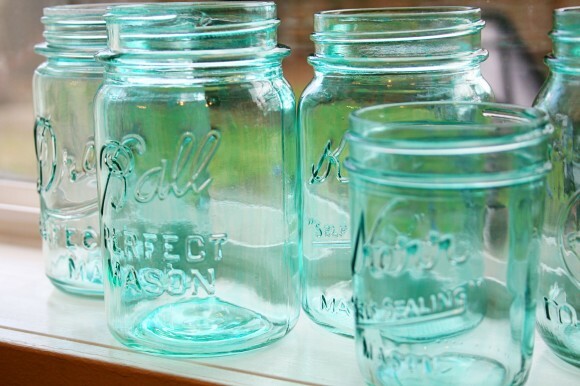 Sky’s the limit when it comes to finding innovative new ways to use mason jars. If you are looking for ways to organise small spaces in your home, then you don’t have to look further than mason jars. You could use plain mason jars to organise stationary, your bathroom sink or even your makeup dresser. However, if you want to make them look even prettier, you can put in a little extra effort and make them tinted. To do this, all you need is glue and food colouring. Mix at least ten drops of food colouring along with some glue and swirl it around in your mason jar until it fully covers the inside. Then turn it upside down and let it rest for a few hours, so the extra glue drips out. Once this is done, place your mason jars upside down in the oven on the lowest temperature setting for about 15 minutes. Then, flip it over and do the same for another 15 minutes. After the timer goes off, you should have beautifully tinted mason jars that are as beautiful as they are functional. There has been a time in all of our lives when we have to go to the grocery store and forget to buy important things. A tub of chalkboard paint could solve that problem forever, while also beautifying your kitchen at the same time. 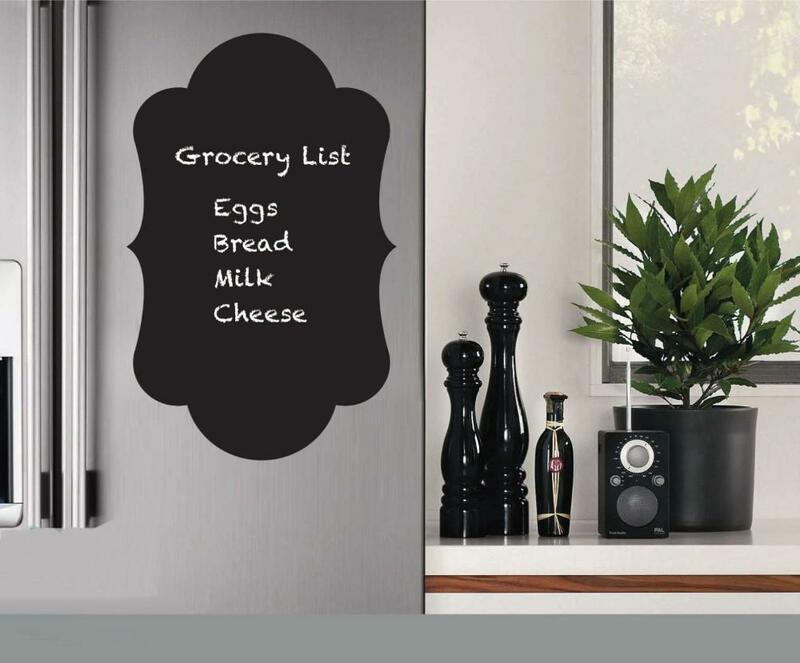 You could paint one of your cabinet doors with black chalkboard paint, so you and your family can write down things that need to be bought on your next trip to the grocery store. To make it even prettier, you can buy a cheap picture frame and paint the inside with chalkboard paint for the fanciest grocery list you have ever seen. Nothing can add personality and warmth to your home like happy family pictures. If you are looking for unconventional ways to hang your pictures, it’s time to get your old embroidery hoops out. These hoops can be found at any crafts or stationary store and are very cheap. For the background of your picture frame, you can use either white cloth or printed material, if you want to add more colour to your home. Layer the cloth between the two rings of the hoop and after you secure it in place, trim the excess material. 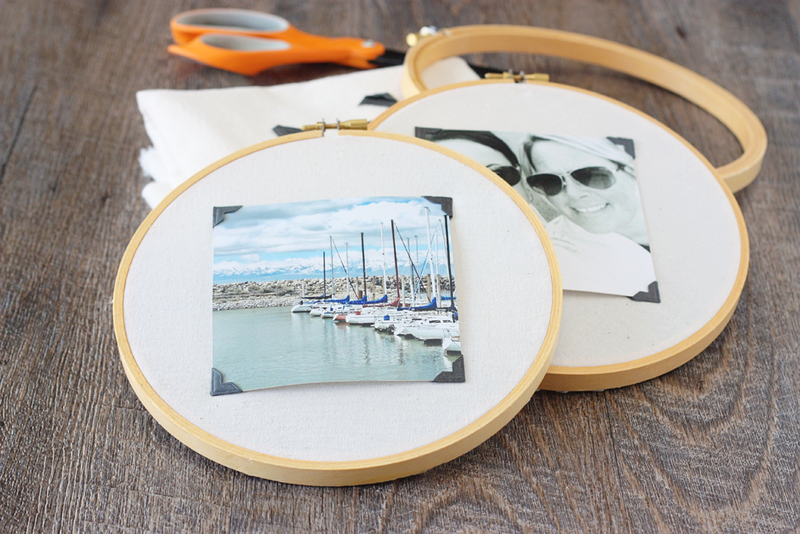 Then, choose your favourite pictures and just stick them at the centre of the hoop with fabric glue. You can hang these ‘frames’ anywhere you like for an unusual DIY photo gallery wall. Need to update your old furniture but don’t have the budget to buy new pieces? A roll of wallpaper or gift wrapping paper might be all you need to make your furniture look beautiful again. Choose a wallpaper or gift wrapping paper in a print and colour you like and cut them out to fit the backs of your cabinets. Paste the sheets with wallpaper glue or removable adhesives and smoothen them out so there are no air bubbles. This subtle trick will immediately add a bold splash of colour to your room and make your furniture look completely new. Your switch plates are probably not something you have paid too much attention to, but this tiny detail can make a large difference in your room decor. 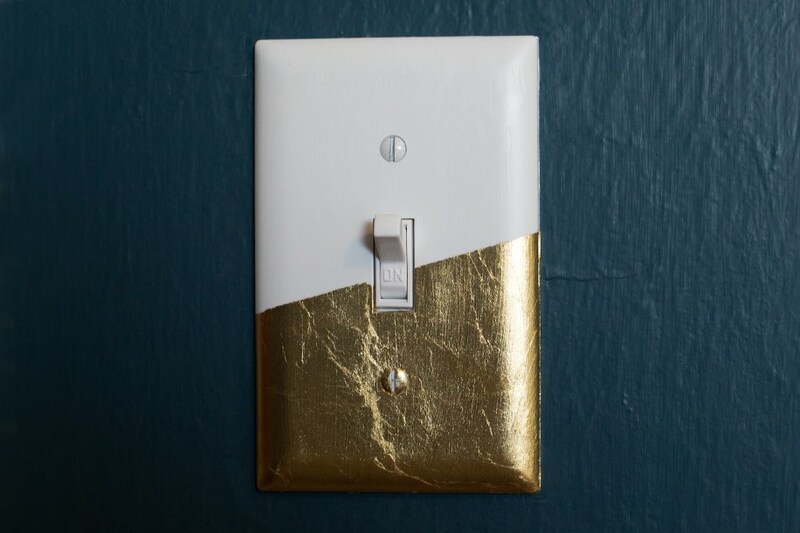 Adding some colour to your switch plates can add a unique accent to your walls. One of the easiest ways to revamp your switch plates is by first unscrewing them, then lightly sanding them and giving them a fresh coat of spray paint in a colour you like. If you don’t have spray paint, you can cut out pieces of scrapbook paper to fit the plates and stick them on. With these DIY home decor ideas, you can give your home a fresh new look without having to break your budget. DIY projects for home decor are always easier when you have a beautiful house to showcase them. To find your dream home that is the perfect canvas for your creative decor ideas, visit Lancor.